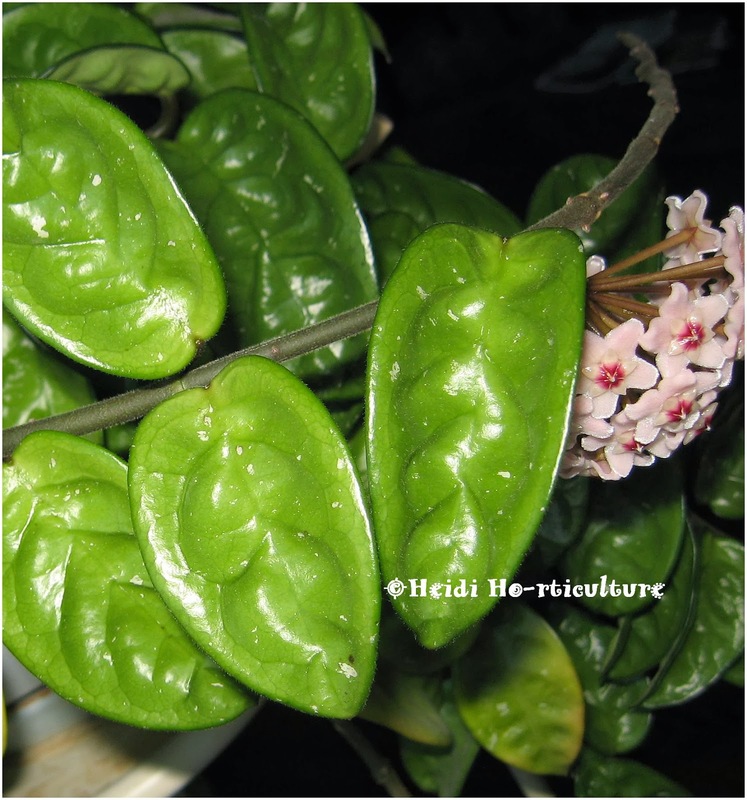 Hoya carnosa or commonly known as Waxplant, is a common trailing houseplant for bright areas indoors. The most attractive and wonderful feature to me: its flowers. I can honestly say, these are some of the most glorious flowers to look at up close. 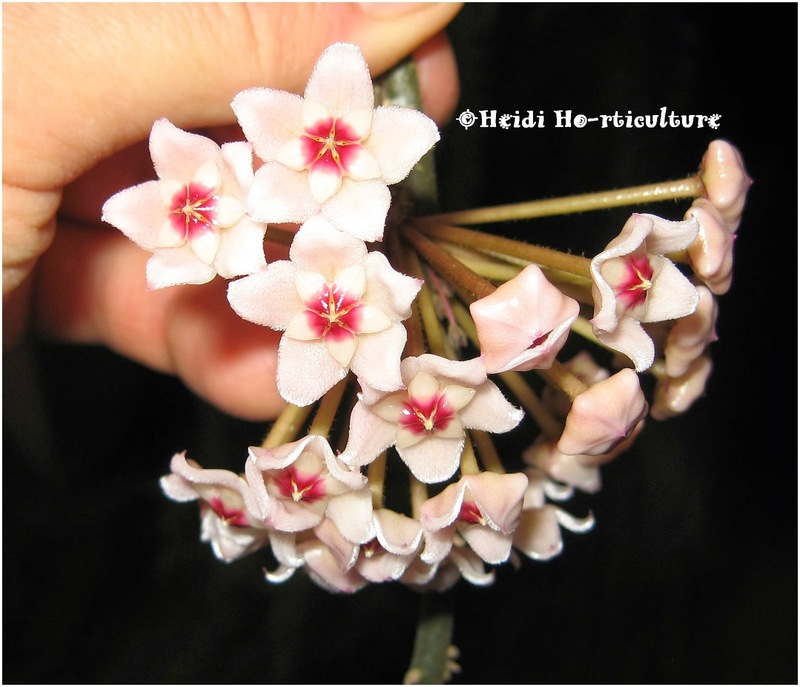 Even in their clusters, they dumfound you - when you least expect this common houseplant to produce anything, all of a sudden clusters of wonderful flowers begin to unfurl. ... to unfolding little stars - they are delightful to me. Depending on its exposure and watering, flowering can last up to a month or two. 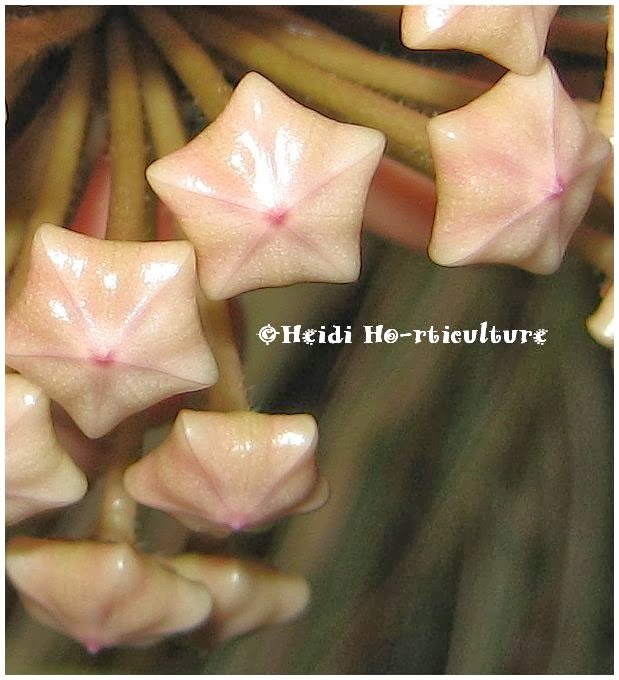 Through 5 segmented star shaped, pubescent flaps, they urfurl to reveal another waxy star shape within. 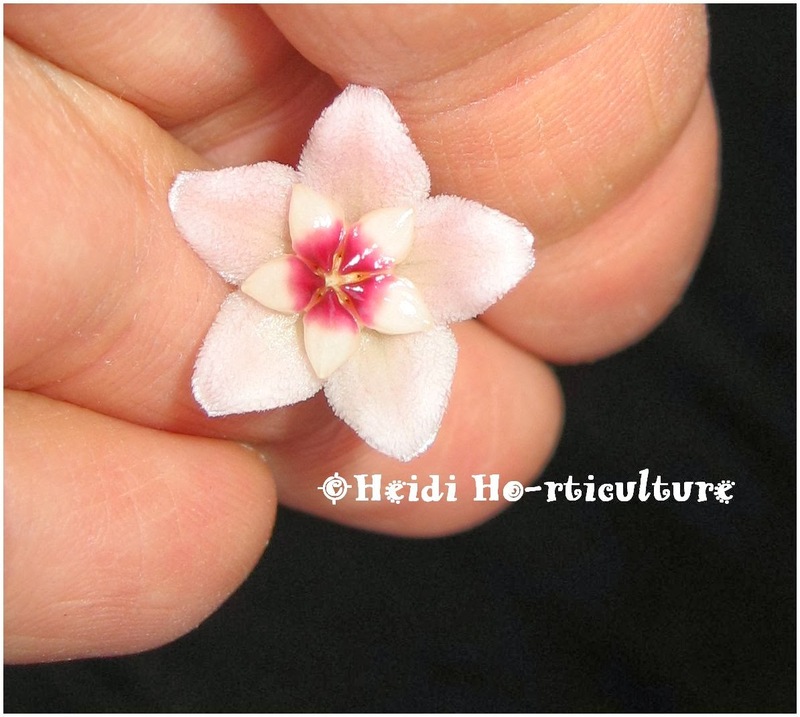 No bigger than a nickel coin, they are so beautiful and delicate. This Hoya enjoys a south-west window exposure. Not overly root bound, yet quite firmly established. Since this February, fertilizer has been added every watering. 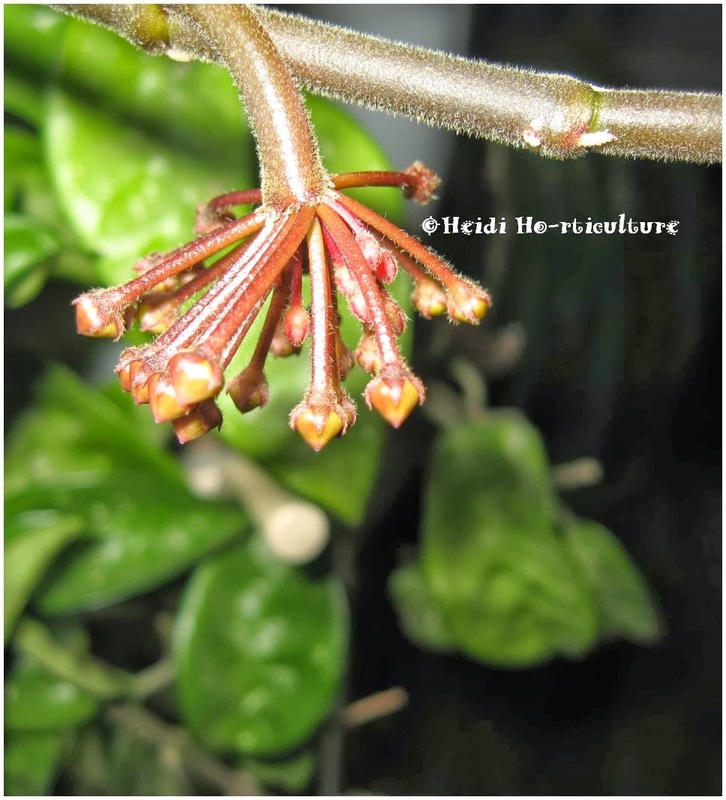 Flowering duration: February - April and sporadic flowers throughout the year. 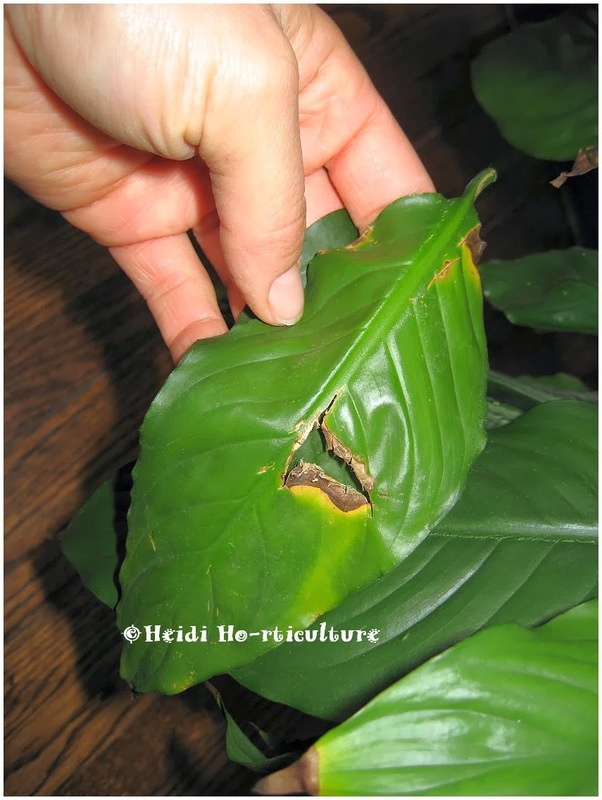 Thick, waxy leaves are quite resistant in my experience to pests. 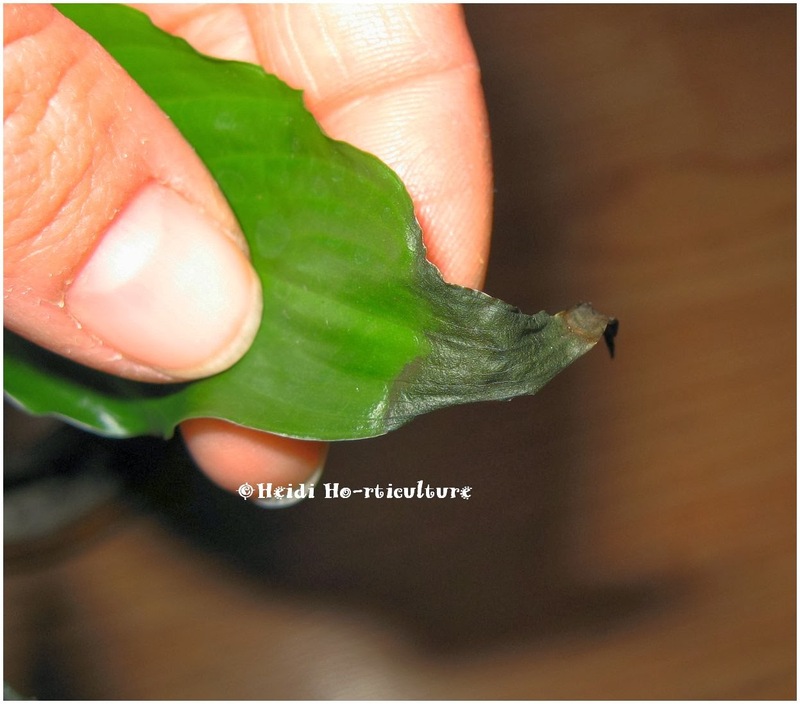 They can become chlorotic (yellow) without enough food. But easily remedied. 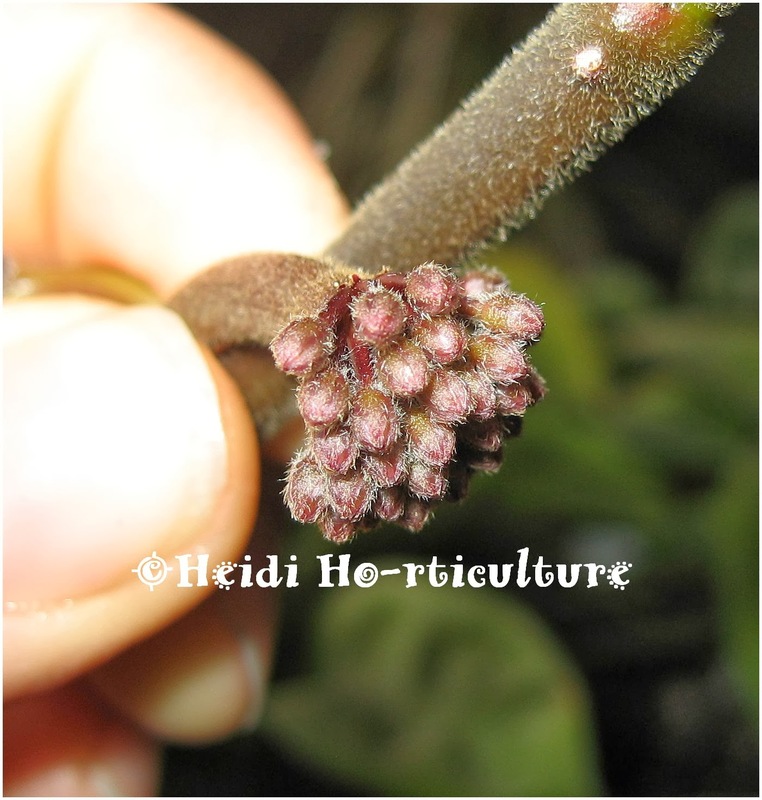 The plant is easily propagated by stem cuttings and easily roots. 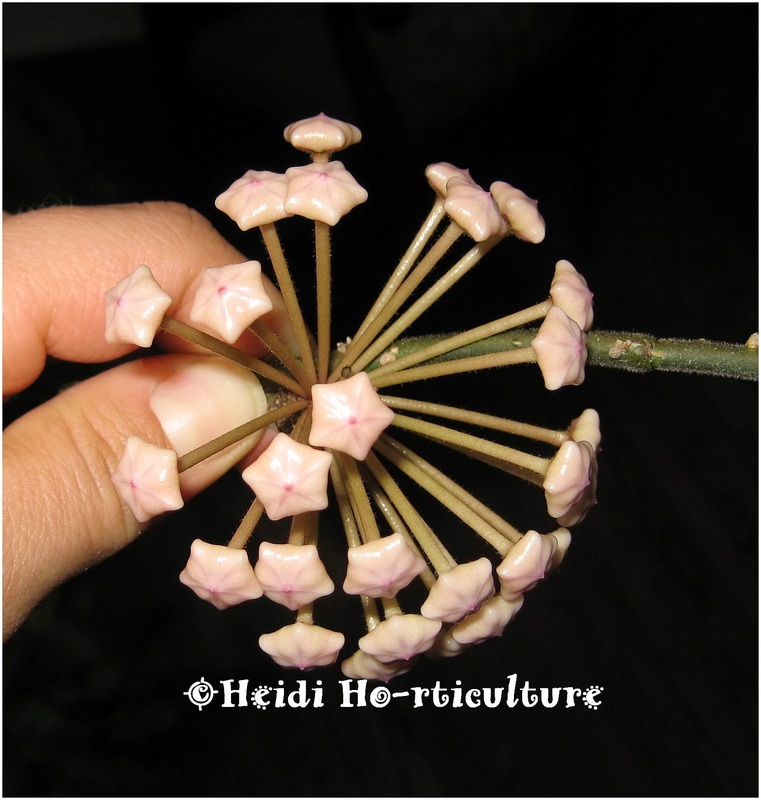 Try growing one for yourself in the house! 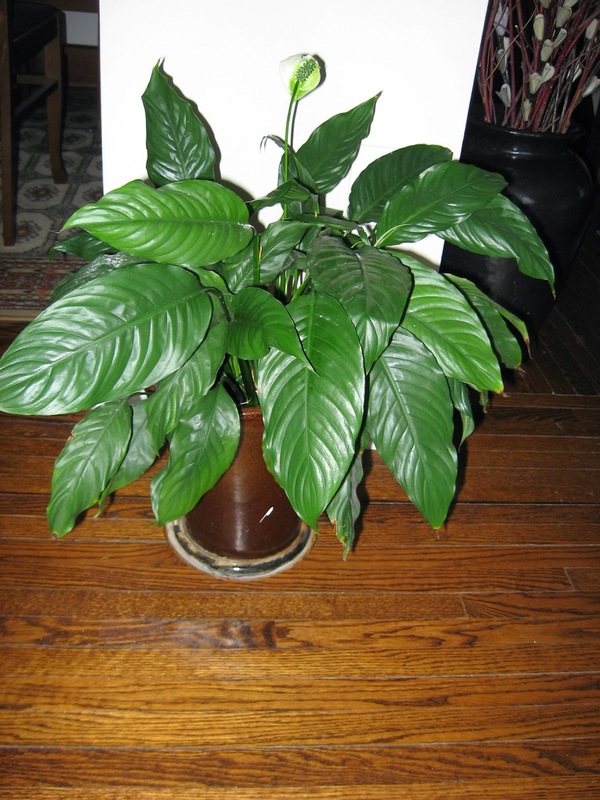 There are about 40 species in the genus of the Peace Lily Plant (botanically, Spathiphyllum). 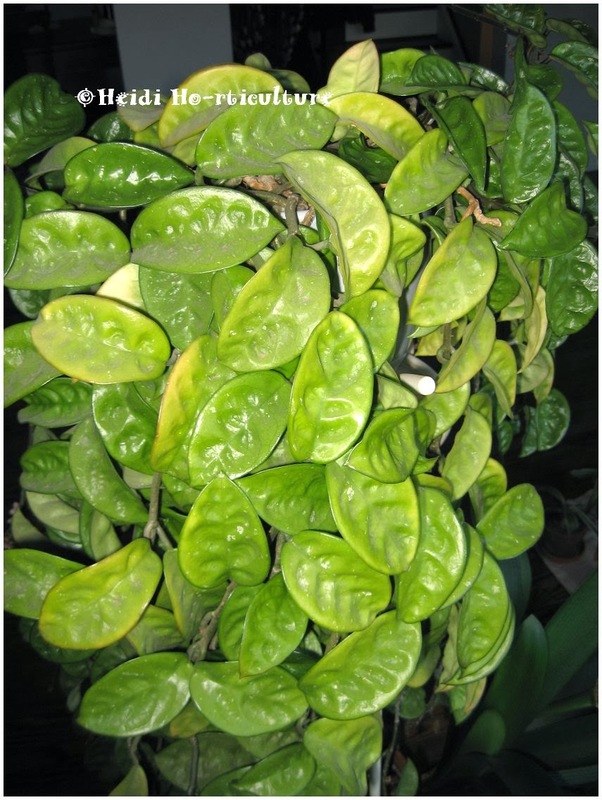 It's a fantastic house plant for low light or indirect light situations. However they can be temperamental and finicky when the seasons change. Entire edges of some leaves are turning brown and papery thin. Lack of humidity and chlorine I suspect are the culprits here. Since I moved, this plant has suffered every winter. I let it dry out between watering and water making sure that I don't overly soak the pot. Because I have forced air for heat, I try and relocate it during the colder months to avoid this from happening. I've even tried grouping it with other plants to create a more humid spot, but with forced air in the room fed by two heat vents, it's hard to maintain adequate humidity in the room. 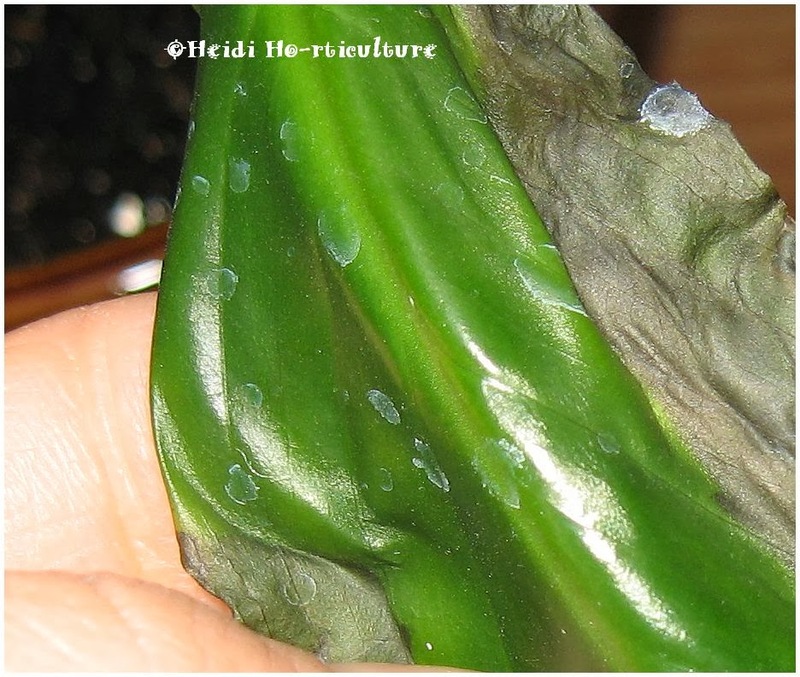 On closer inspection, I've noticed water marks on the leaves from watering. My hard tap water is leaving marks as the water droplets dry. Hard minerals and chlorine in tap water is quite harsh on plants. 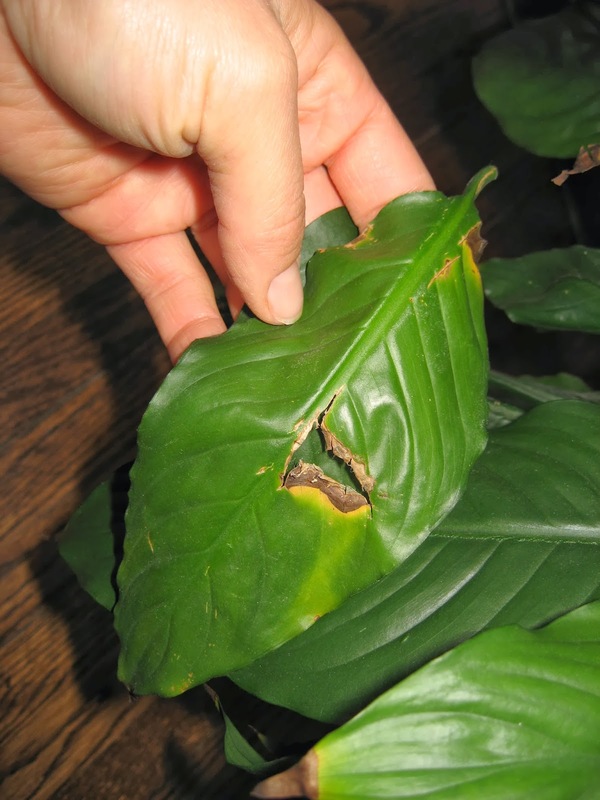 Most house plants grow in soil-less mixtures and with the added loss of humidity, tap water can be tough on plant roots. From now on, I will use tap water that has sit for several days. Allowing the chlorine to dissipate. 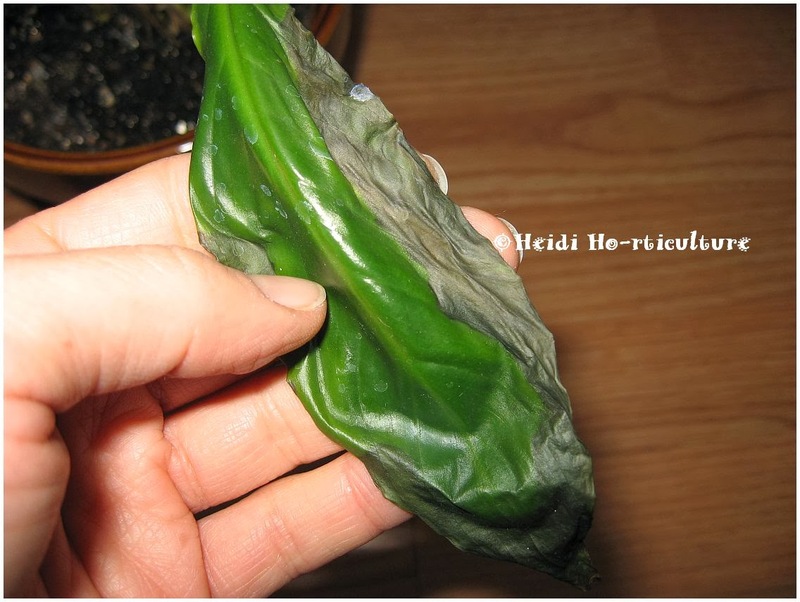 As for the hard minerals, I may use the water from my dehumidifier to see if it's any better for my plants. For now, I have cut back any leaves that are browning. Any stems that have begun to have spots. I filled boiled water in an atomizer and have sprayed this plant to help encourage new growth and to help it bounce back. Spring is only a month away. 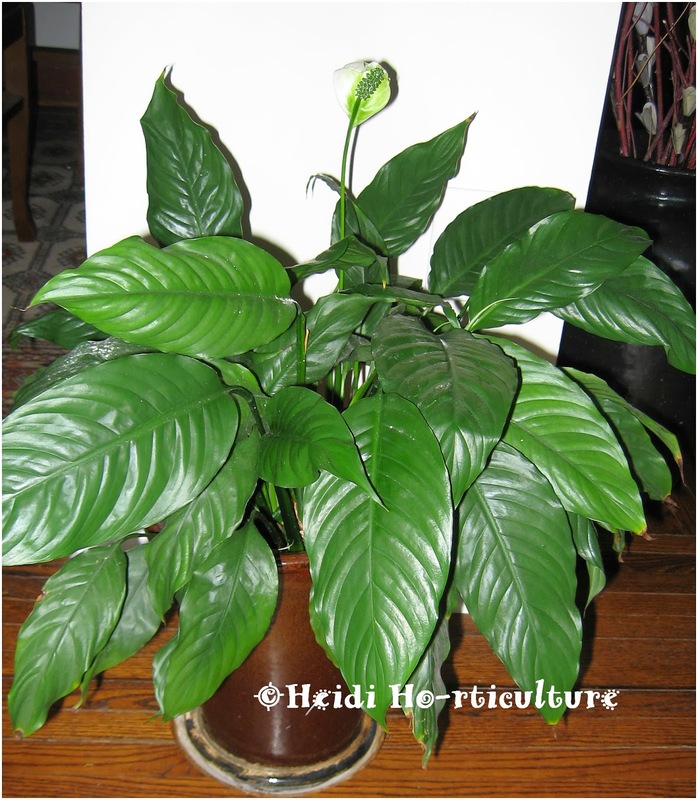 Hopefully, my Peace Lily will flourish again and provide great flowering all year long! Photo of the Month: February 2014 Happy Valentine's! Wishing everyone a Happy Valentine's Day! Let everyone you know how much you love them! 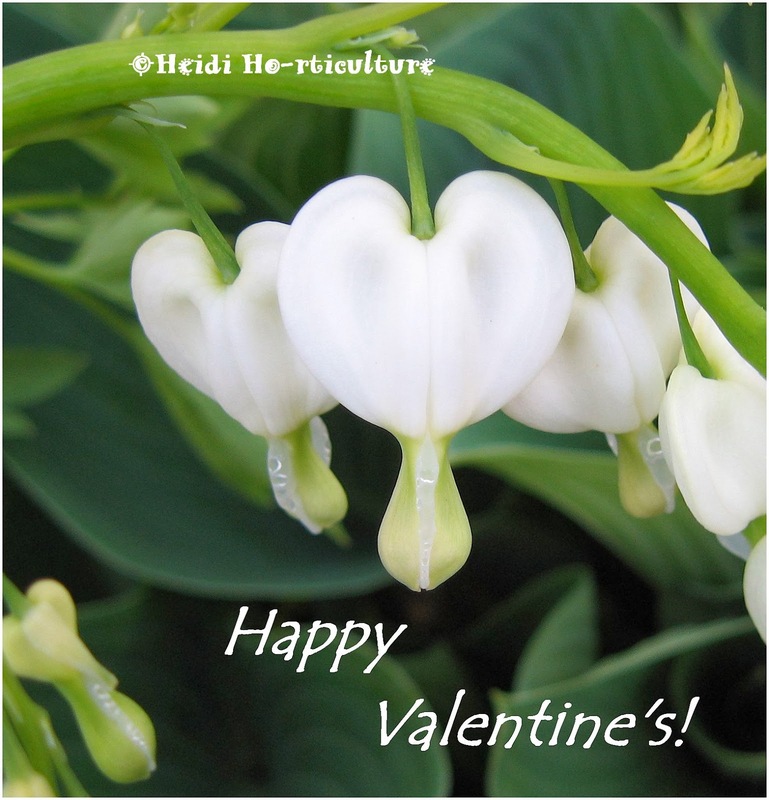 Enjoy these White Bleeding (Dicentra spectabilis Alba) Hearts - to me they signify purity in love.